David “Dave” Loquaci represents Division 1 of Madera Irrigation District. Dave and his wife, Joan, live in the City of Madera. They have a daughter, KC, son-in-law, Brian, and granddaughter, Samara. After graduation from Madera High School, Dave attended California Polytechnic State University at San Luis Obispo earning a B.S. in Food Industries, Dave then returned to farm in Madera. A life-long resident of the City and County of Madera, he is a fourth-generation farmer in our community. Along with farming the family acreage, Dave is President of Madera Ag Services, a custom farming company which he co-owns with his brother, Les. 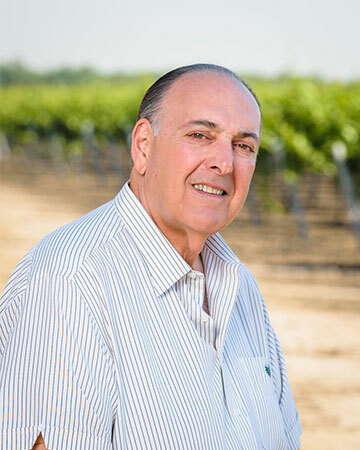 He serves on the Board of Directors for Sunsweet Growers Inc., Nisei Farmers League, California Prune Marketing Committee, and the Madera County Ag Boosters. Dave was elected to the MID Board of Directors in 2014.